Bad news for Microsoft – Acer is apparently rethinking their Windows strategy, planning to offer fewer Microsoft products and focus more on products delivered by Redmond’s rival Google – Chromebooks and Android devices. 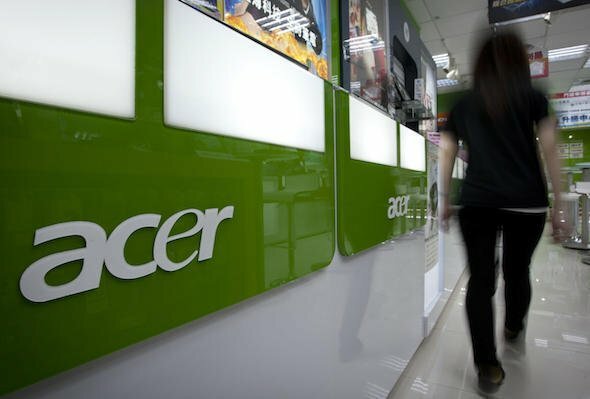 This comes after Acer’s second-quarter earnings call where the Taiwanese company has posted a surprise second-quarter loss, having unexpected lower sales and rising expenses. We are trying to grow our non-Windows business as soon as possible. Android is very popular in smartphones and dominant in tablets…I also see a new market there for Chromebooks. One of the reasons behind Acer’s poor financial results is obviously the decline in PC shipments, with Windows 8 apparently being the biggest culprit. However, it’s interesting to observe Acer’s interest for Chromebooks, but according to NPD Group, they actually represent a growing market. And you really can’t blame Acer for not sticking with Windows 8, as the company has put on the market a good number of different-sized tablets, laptops, hybrids and even all-in-one PC units. Acer was the first one to test the waters with a small-form Windows 8 tablet but even that hasn’t worked out quite well. To “mark” the fact that its Windows products aren’t selling that well, Acer is now selling the Acer Iconia W3 tablet for US$299 (the 32GB model and US$349 for the 64GB, both cheaper by eighty dollars. For the PC industry, I haven’t seen light at the end of the tunnel. First, we have to sustain our market share and protect our bottom line … and by doing tablets and smartphones right, we can be prepared for the day after tomorrow. The Windows camp has to do something to reestablish or reinforce confidence among PC users. People are reluctant and are holding their purchasing decisions. Recently, we have seen Asus pulling back on Windows RT, after releasing on the market a few promising devices, such as the VivoTab RT. Microsoft is trying to improve things for OEMs with the Windows 8.1 software update, but that won’t fix things, most likely. Is Windows really doomed?